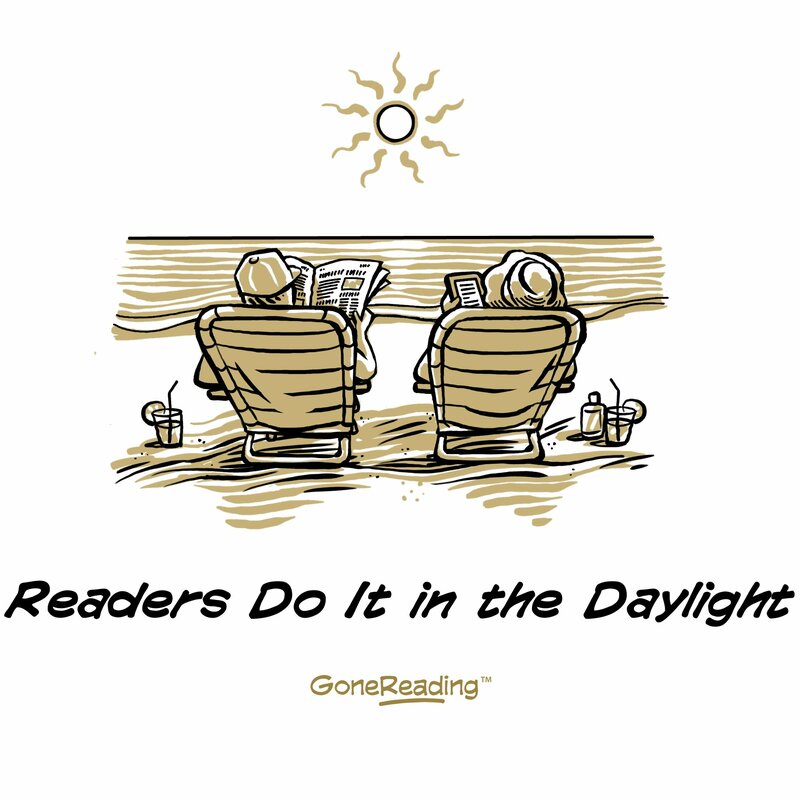 Reader, blogger, founder and CEO of GoneReading – the world’s only lifestyle brand of apparel and gifts for readers. All profits are used to fund library and literacy programs in the developing world. A signature design from GoneReading, now available for purchase at http://www.GoneReading.com. An amazing thing happened this past weekend: After less than four months since it’s launch, GoneReading welcomed its 1,000th Facebook Fan. What started as an experiment is blossoming into a genuine online community of book lovers, bibliophiles and readers. I offer you a heartfelt thank you for your support of GoneReading! You are the heart and soul of GoneReading. You’re our biggest supporters, contributors, promoters and customers. You inspire us, give us great ideas and support, and are an invaluable part of our early success. 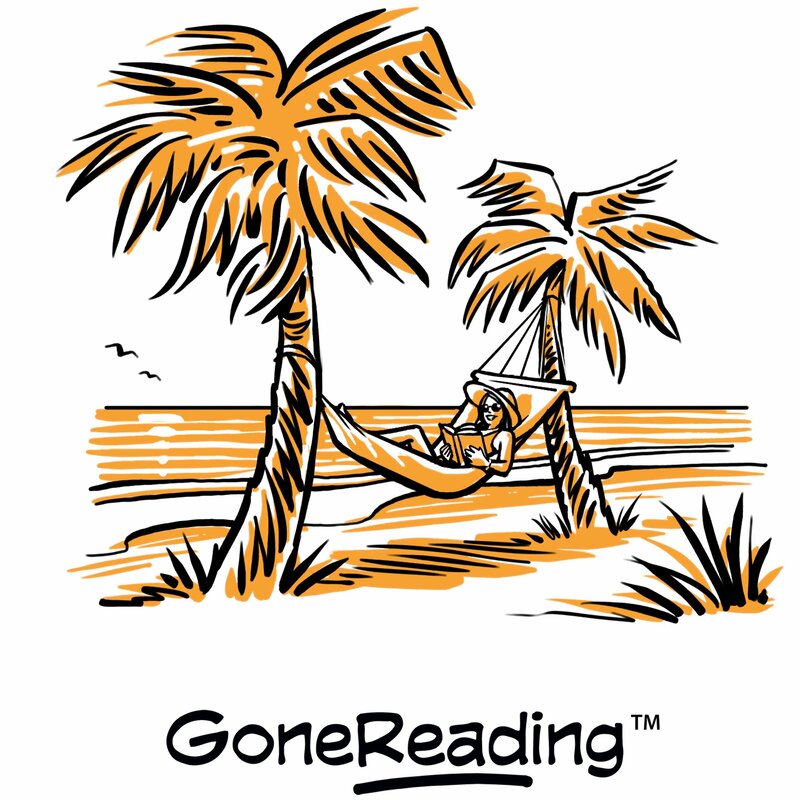 GoneReading is the only lifestyle brand designed exclusively for book lovers like yourself. 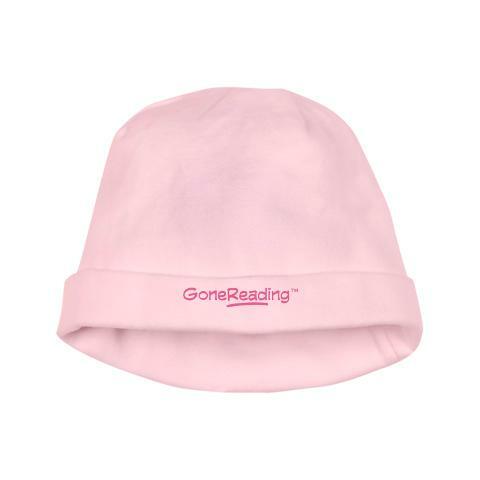 GoneReading generates all income through the sale of our unique line of gifts for readers. Buy some amazing gifts for book lovers by shopping online here! 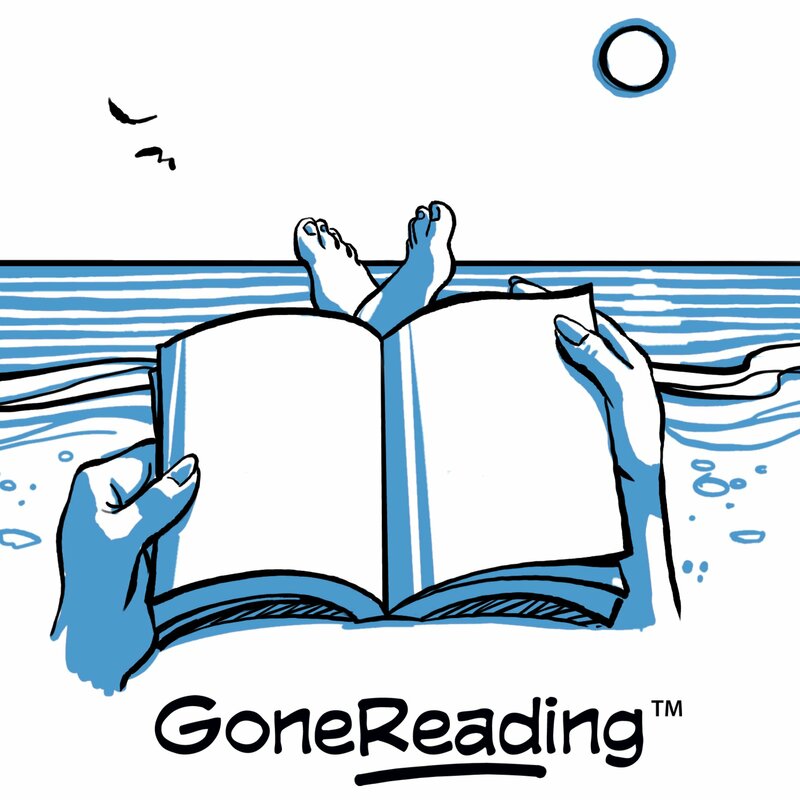 GoneReading is a philanthropic enterprise that was founded to bring the magic of reading to places where it doesn’t exist. 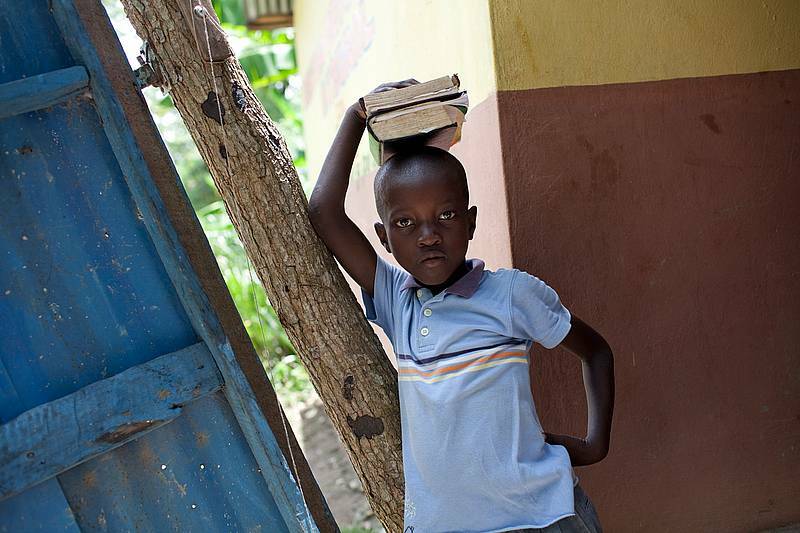 We will donate 100% of our profits to fund reading libraries and other literacy programs in the developing world. You can read more about our cause here. Our Facebook Fanpage provides book lovers with tips, news and discussion of unique interest to readers, while also sharing the GoneReading story. Our Facebook Fanpage is an interactive community, and we encourage your input, feedback and involvement. Please reach out to us, and your fellow community members, with questions, ideas, tips and suggestions as it relates to your love of reading, books and the literary-lifestyle. 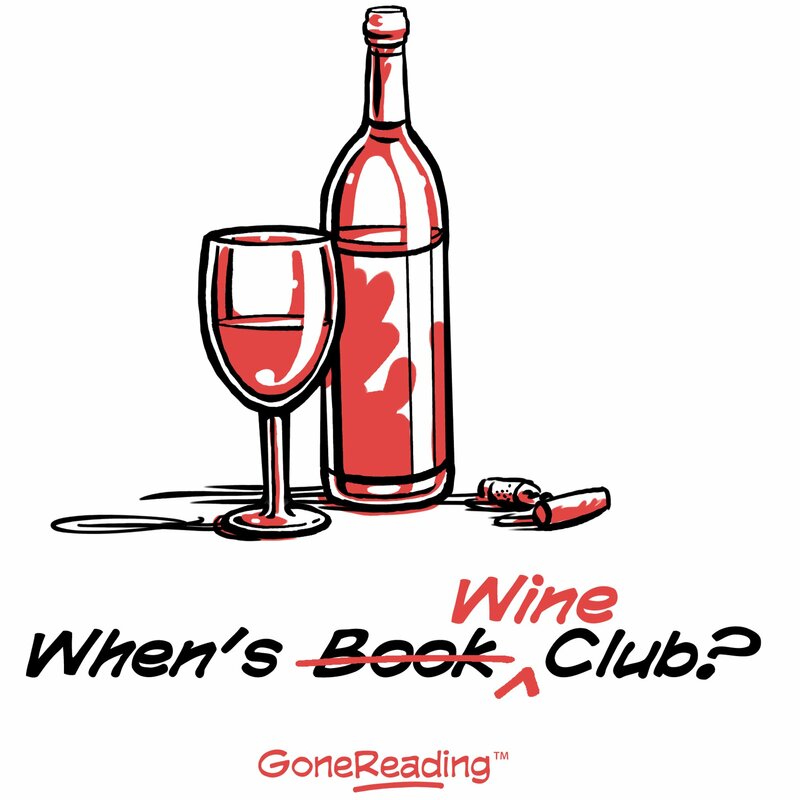 Invite your fellow book loving friends to join our Facebook Fanpage. Can we get to 2,000 Fans in record time? I’m sure you know at least a handful of readers that would love to “Like” GoneReading, and I would be honored for you to make the recommendation. As you follow our Facebook posts, please “Like”, Comment and/or Share the pieces that inspire you. Not only does this give us tremendous feedback on your likes (and dislikes), but Google and the other search engines actually track fan interaction on Facebook. The more Likes, Comments and Shares we “earn” on Facebook, the more searchers will find our online store and buy our products. I can’t thank you enough for your support of GoneReading in its embryonic stage. With your continued help, what started as an idea only six months ago will ultimately transform countless lives by enabling readers around the world. Please share your thoughts by commenting below, or reach out to me with an email to brad.wirz@gonereading.com! P.S. Two more sample product designs below. 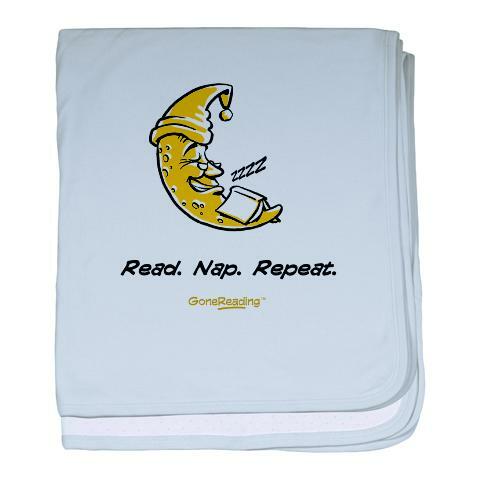 Visit GoneReading’s Online Store, where dozens of our product designs are available on hundreds of different products! My good friend Ralph Hollingsworth penned these words to share about his favorite reading haunts in the Windy City. Ralph is a writer/creative director in Chicago, and he may be reached at ralph@ralphhollingsworth.com. “I used to wonder about people who read books on the train or bus in Chicago. Their noses buried in a paperback, self-improvement guide or criminal romance novel, oblivious to the world and clatter around them, barely lifting their eyes past the tops of the pages as they squeeze through the turnstiles at the subway station, still reading. The El, I thought, is no place to read. At the Old Town Ale House on North Avenue, there’s an informal lending library at the back of the bar, with a motley collection of dusty and tattered books: Politics, philosophy and Saul Alinsky, Clan of the Cave Bear and other Book-of-the-Month Club titles which were received but never opened, never read. The policy is “Take one, leave one.” Once I saw a book on rigging old sailboats. I took it. On long afternoons more than a few years ago, writers and artists would nurse pints and discuss politics, philosophy and Saul Alinsky. The bartender, her services only occasionally required, sat behind the bar reading. I like After-Words bookstore on Illinois Street. It’s one of the few remaining independent bookstores in Chicago. They sell both new and used books, best-sellers and out-of-print books. The basement is a treasure cave. It’s the kind of place where you can pull a stack of books from the shelves and sit on the floor for hours. It’s authentic, not fabricated. There are no announcements read over the loudspeakers. 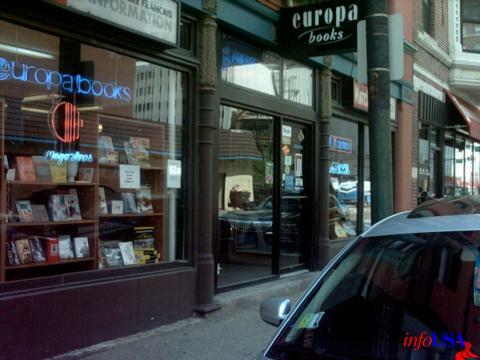 Sometimes, after finding books at After-Words, I’ll walk up State Street, stopping at Europa Books, a small bookstore that specializes in foreign language (mostly European) books and magazines. I’ll flip through a French magazine and pretend that it bores me. Then I’ll head over to the 3rd Coast Café on Dearborn and Goethe (which Chicago cabbies always pronounce as “Goath-y”). Like After-Words, it’s also independent. It’s been there as long as I can remember. I love sitting in the corner with a cup of coffee and a piece of flourless chocolate cake and reading through my new treasures. Surely a coffee house is a good place for readers in Chicago. P.S. Please flatter us by subscribing to this blog via email or RSS Feed. Doing so plays a big role in supporting our philanthropic mission to fund new libraries and other literacy programs in the developing world. 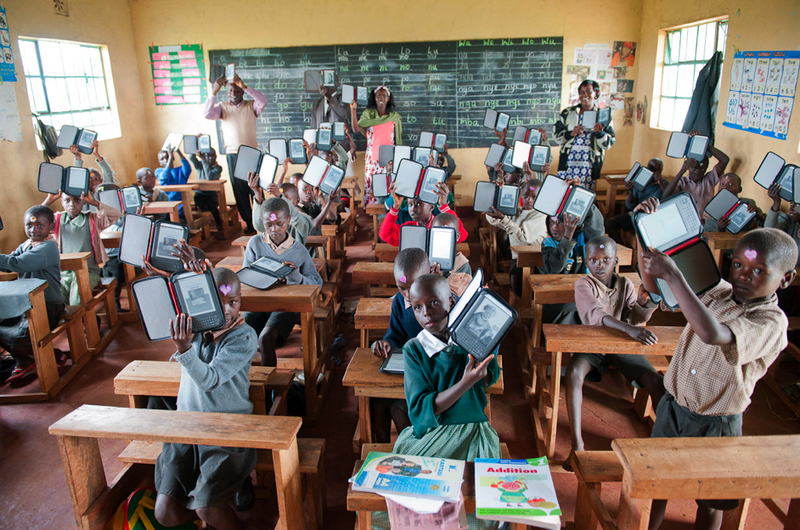 Worldreader is cracking the code for E-reader usage in Kenya. If you’ve traveled in the developing world, or even in the most rural parts in the West, you know that cellphone technology is often more widely available than land-line communications. It’s simply more affordable to build a cellphone tower than to hard-wire every building in town, resulting in cellphone usage that “leapfrogs” ahead of regular phones. We’re starting to see the same thing happen with library construction in some parts of the developing world. Although libraries and librarians are desperately needed throughout the developing world, in some cases E-readers can “leapfrog” the proliferation of the printed book. It’s not that simple, of course, as language, technology, power-grid and many other issues pose significant barriers to the widespread usage of E-readers in the developing world. But as you can read in this blogpost, non-profit Worldreader is starting to really tackle those challenges. As we say at GoneReading, more reading is always better, and Worldreader is absolutely getting it done by pushing the envelope and figuring out new ways to bring the magic of reading into the most underdeveloped corners of the world. Just as in the developed world, the proliferation of E-readers only increases the need for libraries and librarians, it doesn’t replace them. 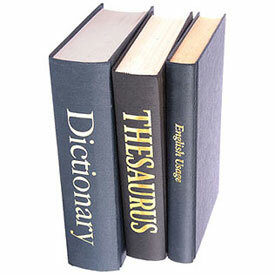 But E-readers can play an incredible complementary role, resulting in a sum that is greater than the parts. Libraries + librarians + E-readers might just be the next killer app, so to speak. Keep an eye on Worldreader. 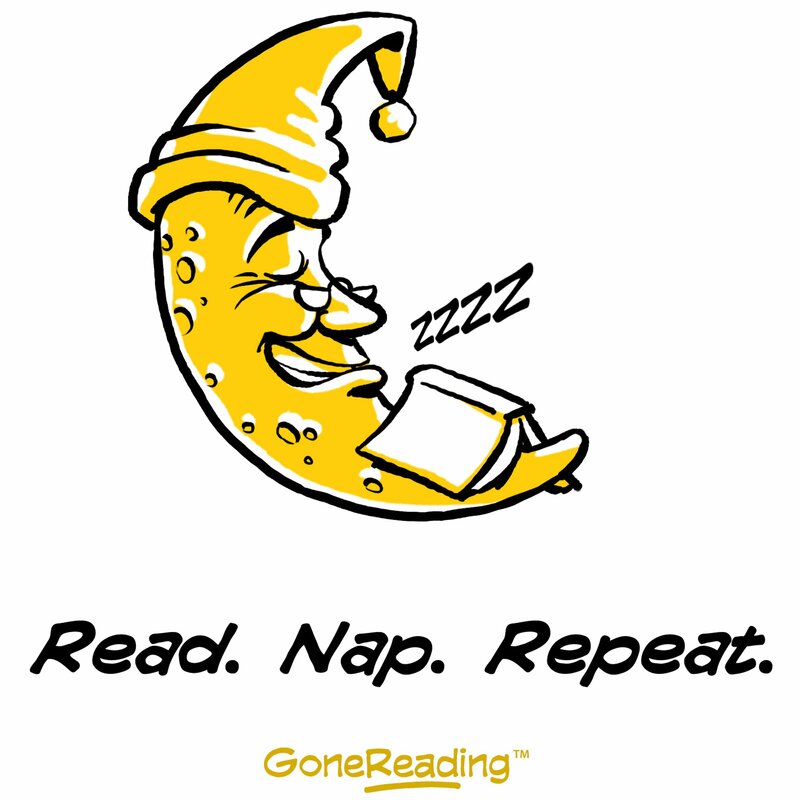 I can assure you that GoneReading will be doing the same! You can read more about Worldreader in eBookAnoid. P.S. Hey book lovers, flatter us by subscribing to this blog. Doing so plays a big role in supporting our philanthropic mission to fund libraries and other literacy programs in the developing world. How Can Reading Help a New Country? A very rare thing will happen today: A new nation will be born as Southern Sudan secedes from war-torn Sudan. The poverty and living conditions of the region are difficult for those in the developed world to comprehend. A recent study by the United Nations indicates that South Sudan has the lowest primary school enrollment in the world. Only 8% of the new nation’s women are literate, and teenage girls are more likely to die giving birth than to finish school. According to the World Education Blog, UNESCO and the UK Department for International Development are targeting education as the keystone to building a new future for South Sudan. The story indicates that schools and school children were the deliberate target of attacks throughout the war in Sudan; officials hope that a focus on education is the best route to undoing the damage. I agree. An educated, reading populace is the best route to building a flourishing, stable state for the long-term. An informed public, one that reads history and learns from the struggles of its predecessors, is best situated to avoid the pitfalls of new-nation status. I will leave the particulars of exactly how to build an education system within South Sudan to the development experts. However, GoneReading is committed to its mission of funding library construction and literacy programs in the developing world. We’re a start-up organization ourselves, but in the long-run we hope to play a prominent role in the rebuilding of South Sudan. Non-profits seeking funding for such work should email us at libraryfunding@gonereading.com. I would like to know your thoughts. How can reading help a new country? Join the conversation by commenting below. Feel free to read more on the situation in South Sudan. P.S. Please flatter us by subscribing to this blog via email or RSS Feed. Doing so plays a big role in supporting our philanthropic mission! I’ve had this idea for a blog post for quite some time, but frankly it took a while to even find any book-lover role models on TV. We stopped at five simply because we couldn’t think of any others. If you think of any more, please send them our way! So why aren’t there more such characters on TV? Now that’s a very good question… Post your thoughts by commenting below. You’ve got to love Brick from The Middle, especially when contrasted against the sorry lot that is the Heck family. Poor Brick goes almost completely unnoticed at home, but we’re pretty sure he’ll end up inventing flying cars or cold fusion. Keep on reading Brick. We hope you can survive the mediocrity around you! In full disclosure let me say that Buffy the Vampire Slayer is one of my favorite shows of all time. Need I remind you that TV Guide once referred to Buffy as the “smartest show on television”. 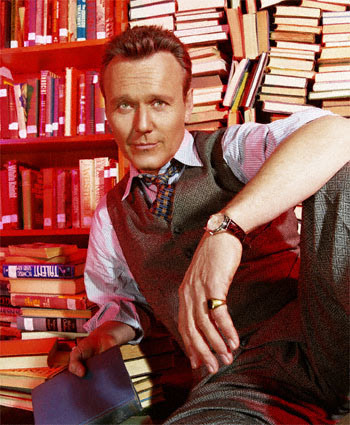 Fans will remember that Giles’ erudition never failed to save the day with last minute demon-killing tips that would, literally, save the world. Plus he looked really cool in tweed, and he had a hot girlfriend. Rory was rarely seen on Gilmore Girls without a book in hand, and her love of reading propelled her from the sleepy confines of Stars Hollow to a lofty career in journalism. She seems to have started something of a frenzy in the blogosphere, too, with dozens of now-defunct blogs detailing everything she read on the show and more. There was even something called the Rory Gilmore Book Project online at one point, but alas, it no longer exists. 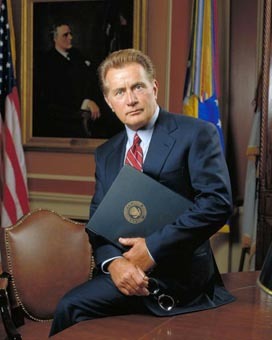 He wasn’t often shown reading on West Wing – I suppose that wouldn’t make great television – but every episode was laced with literary quotes from President Bartlet, often from the Bible. Let’s just hope you can’t actually become president, even a TV president, without a lot of reading in your life. 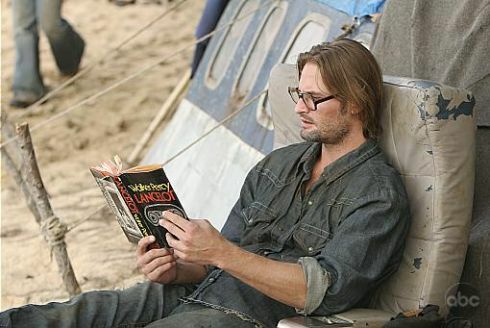 LOST might have concluded with a lot of questions unanswered, but one thing was perfectly clear: Tough-guy Sawyer loved to read. Death-dealing smoke monsters and busted reading glasses couldn’t keep him away from his books for long. And all that reading touched off a lot of on line chatter about book references on the show. Check out this list of books from LOST, and the LOST Books Challenge. Honorable mention: Captain Jean Luc Picard of Star Trek fame, and Lisa from The Simpsons. Many thanks to our Facebook Fans for their contributions to this article. P.S. Please flatter us by subscribing to this blog via email or RSS Feed. Doing so plays a big role in supporting our philanthropic mission to build libraries in the developing world! As you may or may not know, GoneReading’s philanthropic mission is to enable readers worldwide by funding the construction of libraries and other literacy programs in the developing world. In fact, we donate 100% of our profits to such programs. Rather than asking for donations, we generate these profits through the sale of our reading lifestyle merchandise, designed exclusively for book lovers and readers like yourself. We encourage you to check out GoneReading’s Online Store. And now we’re thrilled to announce that GoneReading will soon extend its gift and merchandise offering to include a line of baby products. 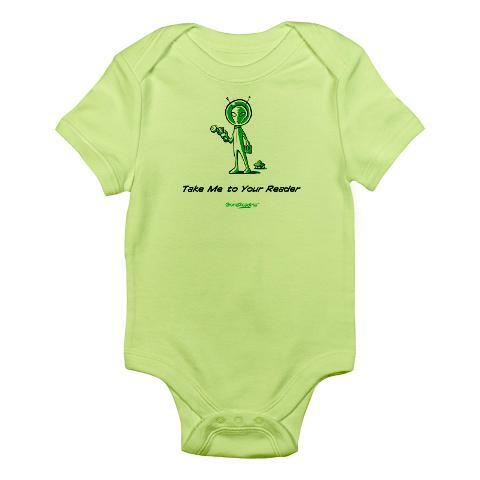 Yes, we want to turn your babies into book lovers! Included in the lineup will be baby hats, onesies, bibs and blankets, each available in a wide variety of colors and sizes (samples displayed above). BUT, we need your help in developing new “headlines” and “slogans” for our new baby product lineup. Have a cute idea? 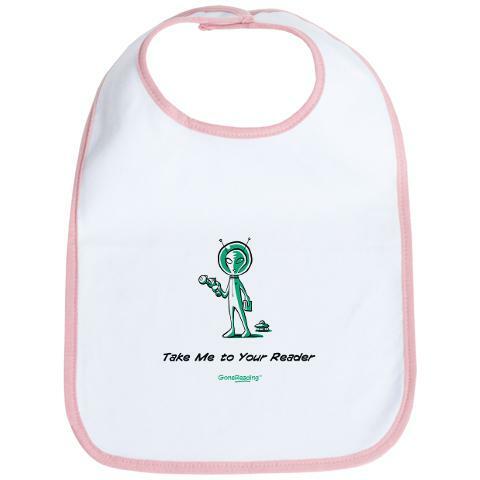 Post them as a comment below, on our Facebook page, or send them via email to babyideas@gonereading.com. If we decide to use your idea we will gladly send you any free item of your choosing from our online store! So put your thinking caps on and send us those ideas. As always, we appreciate your time! Reader Survey: When Do You Bail On A Bad Book? Book lovers appear to have a wide range of opinions on the subject of bad books, and whether or not we should finish reading them once started. Personally, I’ve always been of the I-will-forge-ahead-no-matter-what mindset, which can be really painful because I tend to read long books. Many disagree with this approach. Because everyone seems to disagree, the minds at GoneReading decided to conduct a poll to see if we can get this thing settled once and for all. Please take a moment to respond to our poll, share your comments below, and forward along to your reading friends! P.S. If you enjoyed this little post and want to see the final survey results, please flatter us by subscribing to this blog via email or RSS Feed. Doing so plays a big role in supporting our philanthropic mission!